Their original building in St. Swithin’s Lane was bombed during a German air-raid in 1941 and the decision was taken to move to their current location on Fore Street, adjacent to the Barbican in 1976. The building, designed by renowned architect Sir Basil Spence, was listed in 2010 and carried Grade II status. It is built in the brutalist style of architecture. The entire structure has received a major refurbishment (its first since construction) and has been honoured with a special livery award by the Company of Chartered Architects, in the City Building of the Year 2016. Structural Renovations secured the first package, which was concerned with significant concrete repair to columns and beams, using Weber.Cem HB40, a high strength polymer modified repair mortar. The package also required us to replicate the ‘knapped’ rib finish and various other profiles. This was achieved using Weber.Cem Lightweight and whilst still ‘green’ the mortar was hand carved to form the required finish. We returned for a second phase of works in autumn 2015, which involved the installation of replacement reinforcement and re-profiling of concrete elements. Summer 2016 saw us return to carry out concrete repairs to areas that were not accessible during previous visits. 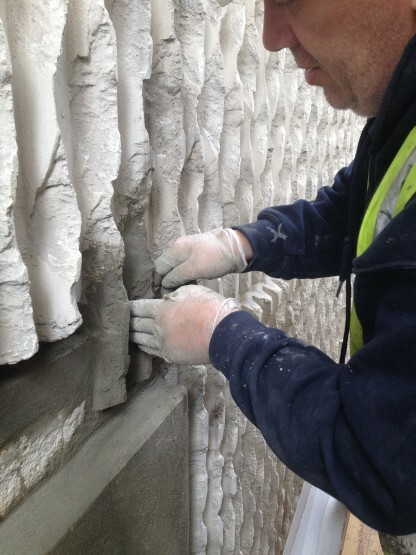 In addition we were instructed to carry out site trials using a lime and silicate based thin coat render, followed by the application of a highly specialised mineral paint system. The site trials were specifically for the new pavilion, which has been built to the east of the building and where the architect required a particularly smooth and uniform finish. The trials were subsequently approved and we returned to site in autumn 2016. 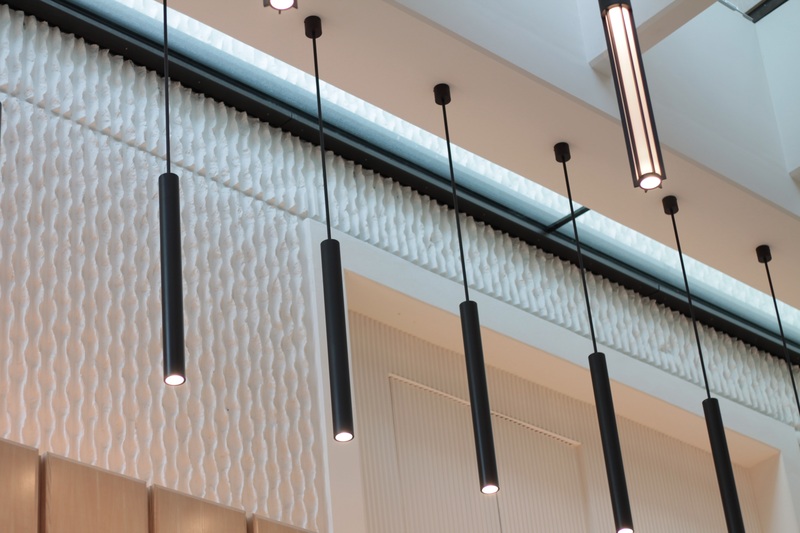 The various phases were undertaken within strict programme periods, involving multiple interested parties that included City of London Corporation, DMFK Architects, Capita, as well as the Salter’s.